Published annually by the Lancashire Local History Federation. Lancashire Local History Federation Website. 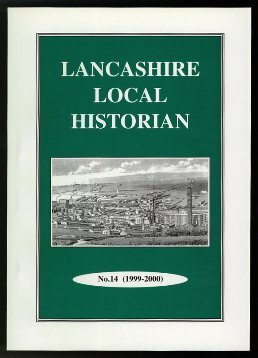 The very first edition The Lancashire Local Historian - Volume 1 is now available as a free download. Sir Thomas Pilkington (1430-1502), lord of the manor of Bury and Pilkington, and Bury Castle. Clothing in Prescot inventories 1660-1680. Ellis Rycroft - Rogue or Paragon? Bridges over the Irwell from Bury to Rawtenstall. The Forgotten Franchise: Who was entitled to vote in St. Helens in 1880? The early railway scene in Preston.